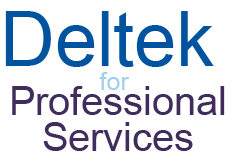 By now, you’ve probably heard about Deltek for Professional Services (DPS), but how does the next generation Deltek product help your firm? To answer this question, it’s easiest to break down the firm into its key roles and show the benefits of DPS to each of them. So, role by role, let’s look at the top 5 benefits of DPS. Marketing is all about firm promotion to assist the business development team with connecting a firm to a potential new client. Firms must deliver and manage marketing campaigns and streamline the proposal process to win more projects. So, how does DPS benefit marketing managers? Business development requires keeping a close eye on all your opportunities. Business development managers must track all their activities and touchpoints to ensure they are meeting their goals. Let’s see how DPS benefits business development managers. Delivering a profitable project on time that exceeds the client’s expectations can be difficult. Project managers must have the tools at their fingertips to make this happen. How does DPS help project managers? Finding and retaining the best talent in the professional services industry can be difficult for human resources managers. Human resources managers need to quickly find, onboard, and retain top talent. What can DPS do for human resources managers? For a controller at a professional services firm, it can be extremely difficult to get accurate and timely financial information on projects and clients. Controllers need to track important metrics and address red flags before they affect the profitability of projects. Check out how DPS benefits controllers. As the firm leader, the executive needs critical firm information at his fingertips. Executives manage the entire project from pursuit to payment and everything in between. How then do executives benefit from DPS? What if it all just worked? With DPS, your firm can simplify the entire project lifecycle, from winning the project to getting paid by the client at the end. If your firm is ready to increase its profits and win more business, now is the time to see what DPS can do for you.